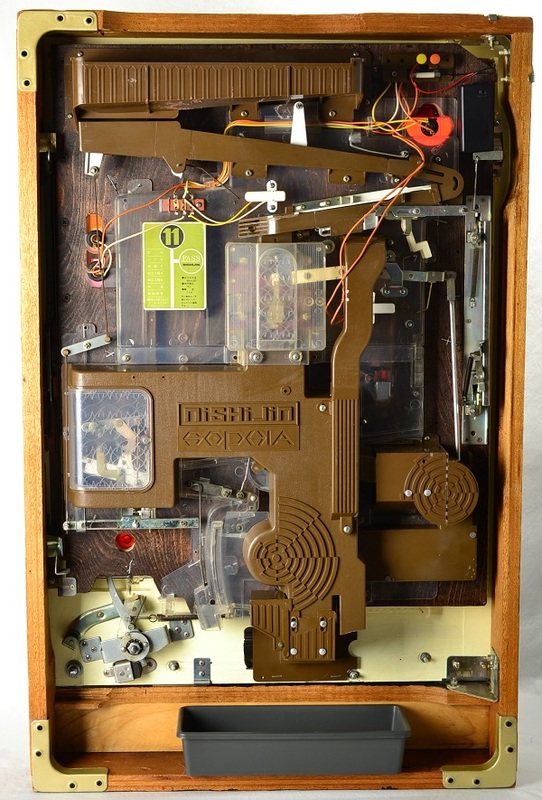 This is one sweet 1975 Nishijin Shiroi Kamome! 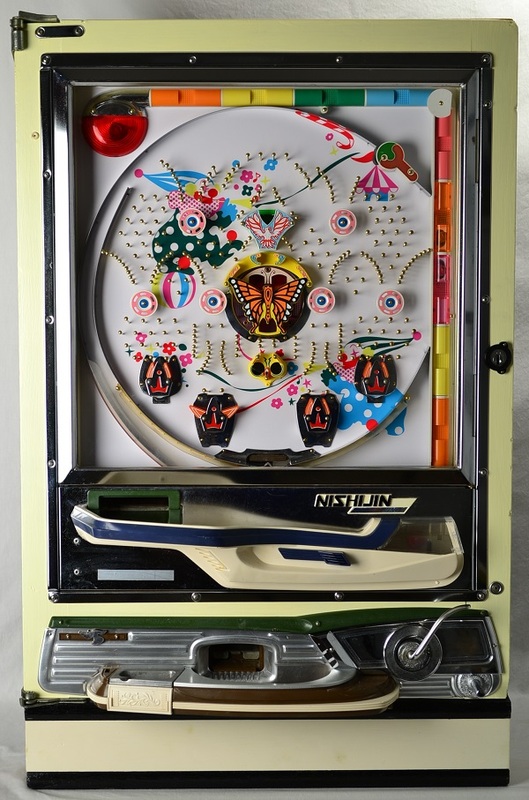 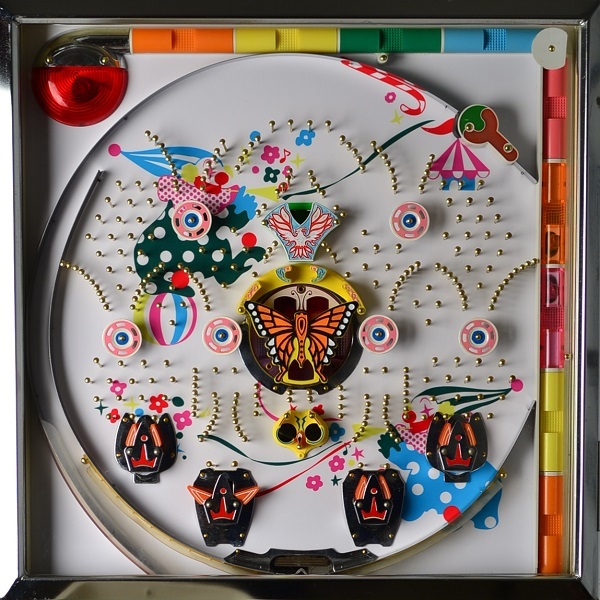 This vintage pachinko machine from the parlors of Japan comes with an awesome theme, a brilliant Monarch Butterfly. It is fully functioning mechanically and although power is not required, the low reward tray light and jackpot lights have been modified to run on a 9vdc battery pack with LED bulbs.